YOUR VACATION PARADISE IS CLOSE – COME AND ENJOY! Enjoy lazy days by the sea or rent a bike or kayak we pack the picnic basket! Take a ride with the ferry Carl Wilhelmsson which operates our dock just outside the hotel throughout the summer. 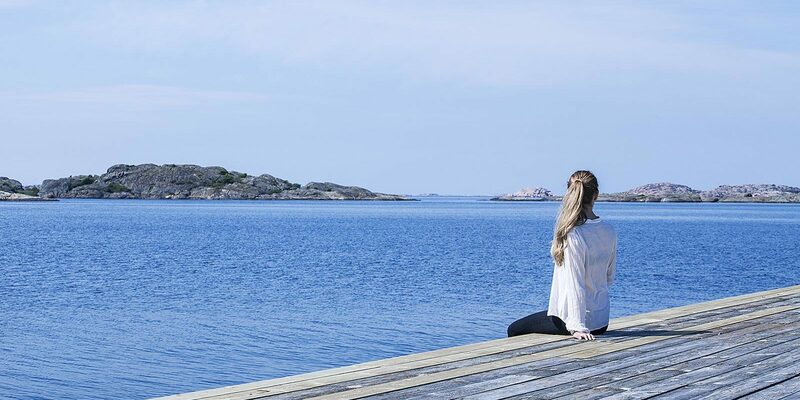 Take a seal safari, take a day trip to Lysekil and visit the Sea House or take the car to Nordens Ark. If you want a big city and pleasure, Gothenburg and Liseberg are just a few hours away. We have miniature golf, gym, outdoor pool 38G, sauna, jogging and walking trails and much more. Friskis & Svettis offers two classes on our pier every day as well as yoga classes. Welcome to book for admission to our Sinnenas Havsbad or Sinnenas Relax. FROM SEK 1 195/ person and night. The package is bookable on arrival between 1/6 – 31/8.